of viewing devices over a wide variety of networks and network conditions. anywhere, and over any IP network. 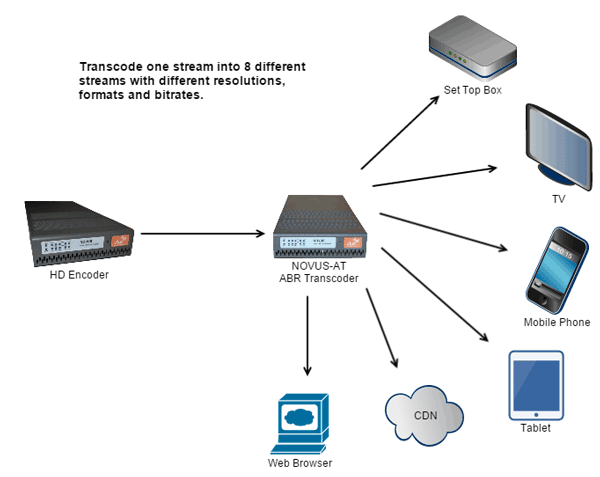 The NOVUS-AT ABR Transcoder is able to transcode a single program received from IP or ASI. addition of feature options expanding the capabilities of each module.